Individual arrival in Valbruna and check in at hotel. Between Valbruna and Tarvisio the path reaches an altitude of 1790m at Mount Lussari. Lunch at a traditional guesthouse in Borgo Lussari. Head down the valley along the Pilgrim path to Camporosso and Tarvisio. Check-in at hotel where your luggage will be waiting for you. Circular trail stage 4 - 19km in around 6.5hrs | Height difference: 1162m ascent, 1219m descent. 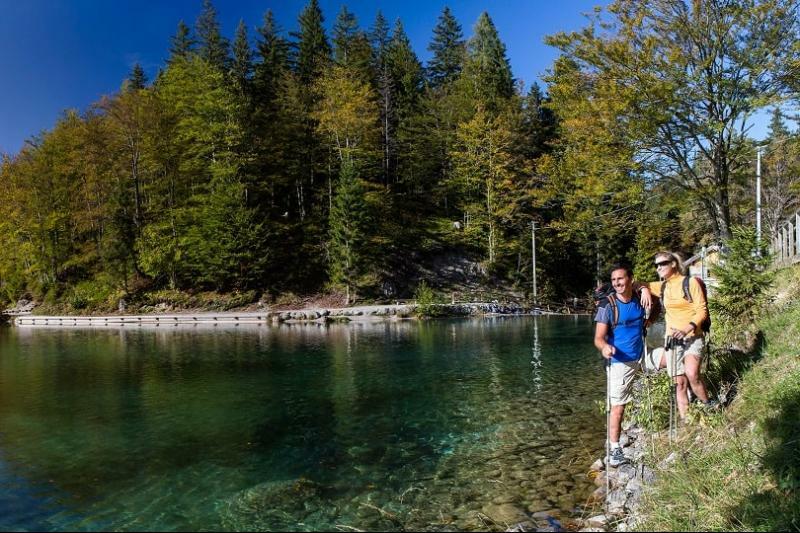 From Tarvisio through Monte Borgo via the Alpe Adria cycling lane to Fusine lakes. Overnight at a mountain hut. Luggage transportation not available for this stage of the tour. Circular trail stage 5 - 18km in around 6.5hrs | Height difference: 1259m ascent, 627m descent. Cross the Italian/Slovenian border and head to Kranjska Gora. Private transfer to Valbrune where your luggage will be waiting for you. End of tour. Circular trail stage 6 - 16.2km in around 5.5hrs | Height difference: 618m ascent, 1187m descent. 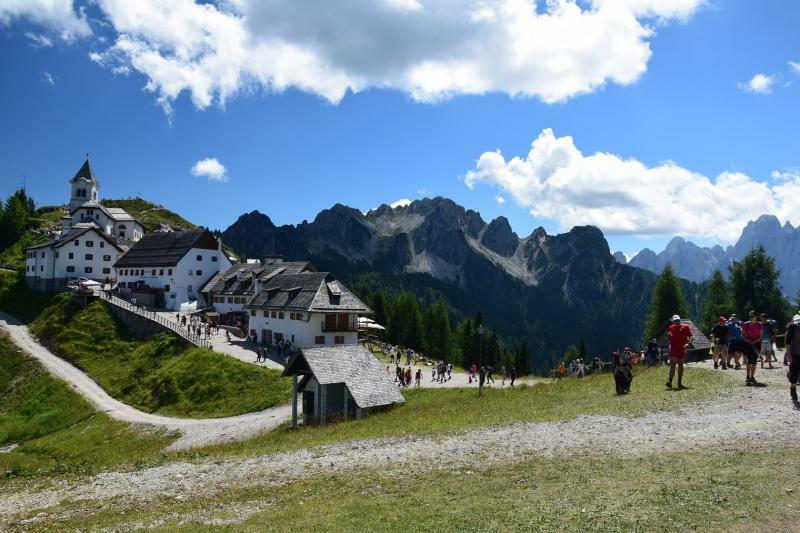 This short walking holiday covers Valbruna in Italy to Kranjska Gora in Slovenia, with a private transfer back to the starting point of your tour. On both sides of the border you will experience a mix of local cultures and languages reflected in the cuisine and traditions of the area. 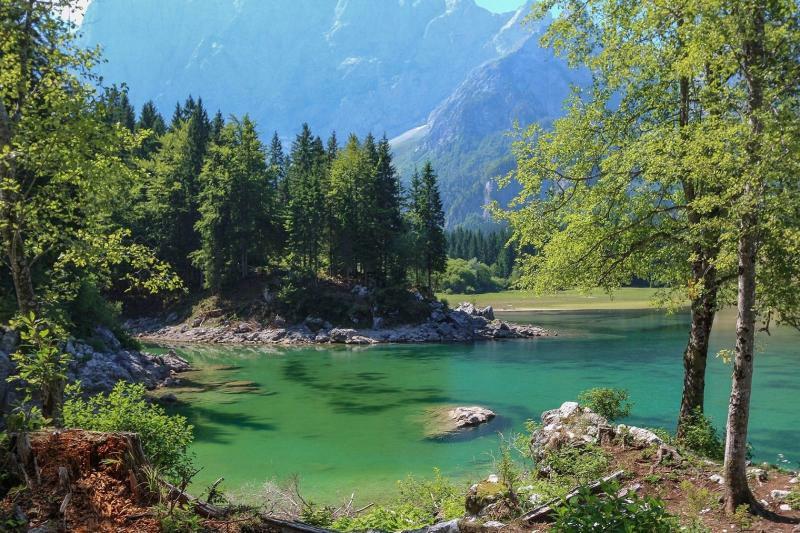 Highlights include Borgo Lussari, a tiny, picturesque hamlet on Mount Lussari and the stunning Lake Fusine. Full information on your accommodation will be provided before your departure. For any special requests please contact us. Get on A2/E66 from Josef-Sablatnig-Straße. Follow A2 to Via Dante Alighieri in Tarvisio, Italia. Take exit Tarvisio from A23/E55. Take Via Vittorio Veneto and SS13 to Piazza della Chiesa in Valbruna.